Lama Zopa Rinpoche teaching at Sera Je Monastery, India, November 2017. Photo by Ven. Lobsang Sherab. “Even when you wash, you purify not only yourself but sentient beings. Not only are your obscurations purified, but all sentient beings’ obscurations are purified. For example, the first time washing with water, the disturbing thought obscurations are purified. 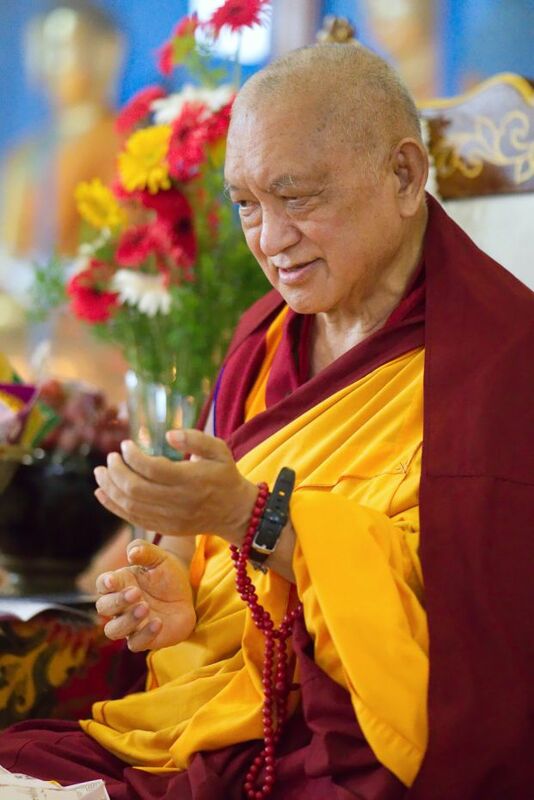 Then, by putting soap, then washing the subtle obscurations, shedrib, of all sentient beings, not only yours, all sentient beings are purified,” Lama Zopa Rinpoche teaches in this video clip, recorded during the 100 Million Mani Mantra Retreat in Italy in October 2017.